I picked this up as airplane reading for the CFSW trip but ended up spending more time playing Ascension on my iPad instead. Not really a book, but just like issues of Arc Magazine, it feels too substantial to dismiss it as just a magazine. 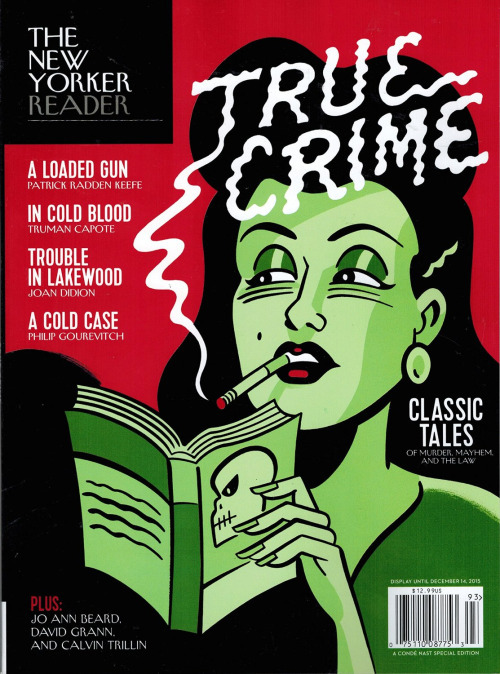 I don’t read very much True Crime. When I read something good, I appreciate it, but I never have a desire to grab more… because, well. It can be very unpleasant. There is some great stuff in here, however. The first part of Truman Capote’s ‘In Cold Blood’ is here and it is good enough to make me want to read more. There is also and amazing piece that reads like fiction until you realize that the author is someone who narrowly avoided being part of a mass shooting.